Students in Dr. Eyun-Jung Ki’s public relations campaigns course took on a new client this year – the Tuscaloosa Police Department (TPD). 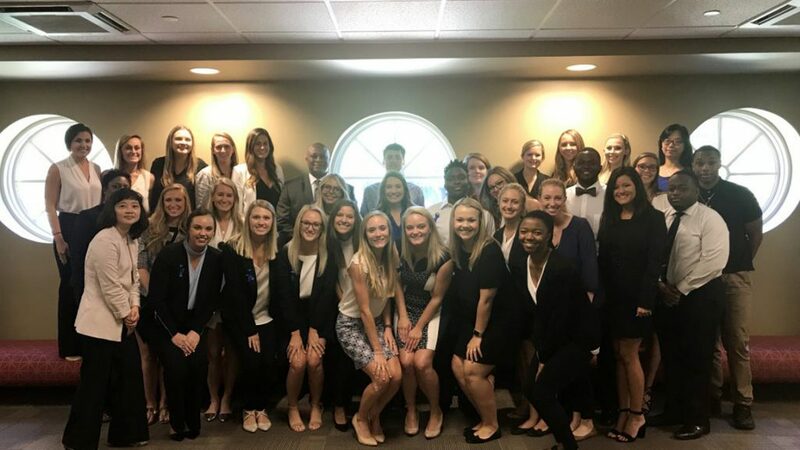 Developed to allow students the opportunity to plan, execute and present a complete public relations campaign, the course typically chooses a new client each semester. This semester, however, the client chose them. Students in the course were divided into four teams and each team was responsible for creating a campaign aimed at a different target audience. While all of the groups worked with student populations in some way, the students ranged in age from elementary school to college freshman. The four groups – Crimson Communications, Druid City Firm, Mill Creek Media Management and E&E Public Relations – conducted research on their target audience, created print and digital promotions for the TPD and hosted a community event, all aimed at improving the relationship between police officers and their constituents. The events included a basketball tournament, where members of the TPD teamed up with high school students at UA’s Rec Center; a cookie social for high school students and police officers at American Christian Academy; a junior police academy for elementary students at Oak Hill School; and a game night at the Tuscaloosa Public Library. The course culminated on Tuesday, April 25, when each groups presented its completed campaign to Tuscaloosa police chief Steve Anderson, lieutenant police chief Teena Richardson and Dr. Ki. Students were not only competing for an “A” in the class, but also for almost $3,000 in prize money. Money left over from each group’s allotted budget, as well as a portion of the money paid by the Tuscaloosa Police Department, was awarded to the team who best executed its campaign strategy. After complimenting each of the teams on a job well done, Chief Anderson presented Crimson Communications with the award. He cited the team’s adaptability, social media campaigns and event execution as the reason for the decision, before commenting on the work of the students as a whole. Druid City firm received honorable mention and a smaller cash prize.